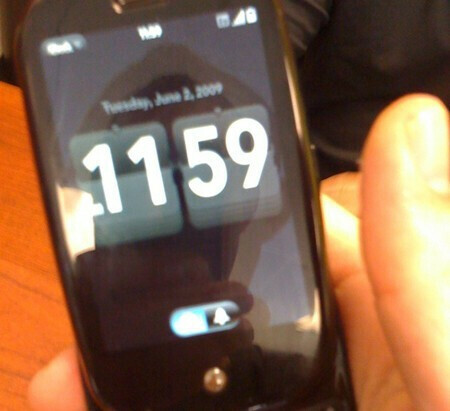 Palm has updated webOS from 1.0.0 to 1.0.2, a minor update but a promising sign nonetheless. Devices usually receive few, infrequent software updates but the Pre has yet to launch and is already receiving maintenance releases. This one no doubt carries under-the-hood improvements, but one complaint about the OS has already been addressed with the addition of an alarm clock. Palm has touted that updates would be both free and available wirelessly, so hopefully they are serious about patching holes quickly and delivering the best mobile OS on the market. The Pre is a good phone and all, but I don't really see it as impressive that Palm is already making updates even before the phone is released. I see that as going back to fix small stuff that was planned to be in the phone at the beginning but there wasn't enough time to put those small improvements in because they were working on bigger problems/projects like the multitasking function. hello blackberry storm.... at least they caught it before release. i applaud their efforts and motivation to resolving things quickly unlike the storm that took 6 months. So true...Take good notes Mr Storm! Very true cant wait to see what these storm addicts have to say...before they add they should know that they will loose this debate cause there has been so many updates to the storm i have lost count. Hopefully the storm 2 wont have as many problems cause the first one was a disgrace.